Something is Rotten in the KWZ lineup… and we love it! 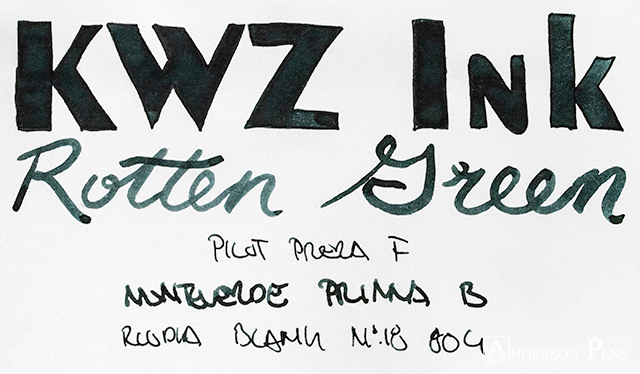 KWZ makes a large assortment of inks, no other with a name that conjures decomposition. 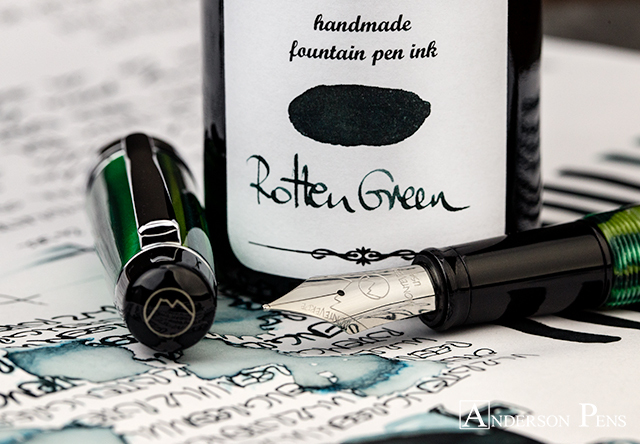 But don’t let the name fool you, Rotten Green is a lovely dark green that writes beautifully. 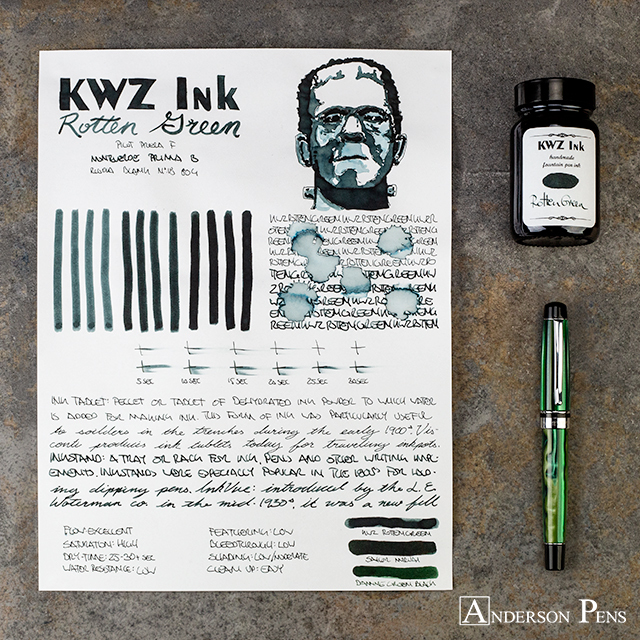 KWZ ink comes in a 60ml glass bottle that is very easy to fill from. Both the bottle and box are hand swabbed for easy color reference. This review was done with a Pilot Prera F, Monteverde Prima B and on Rhodia blank No.18 paper. 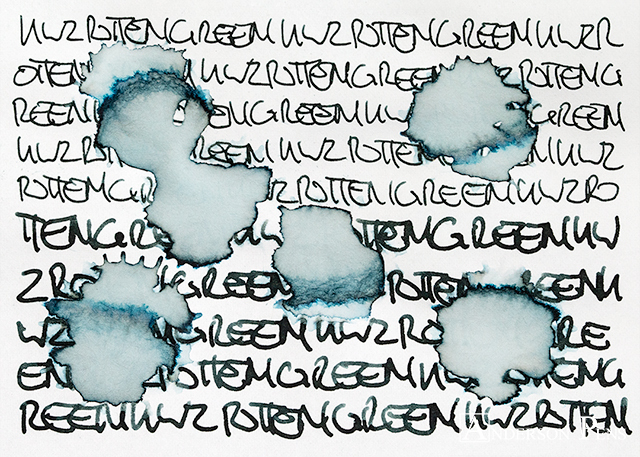 Rotten Green is a highly saturated ink and has an almost black appearance from a distance. The closer you get, the more nuance the ink has. 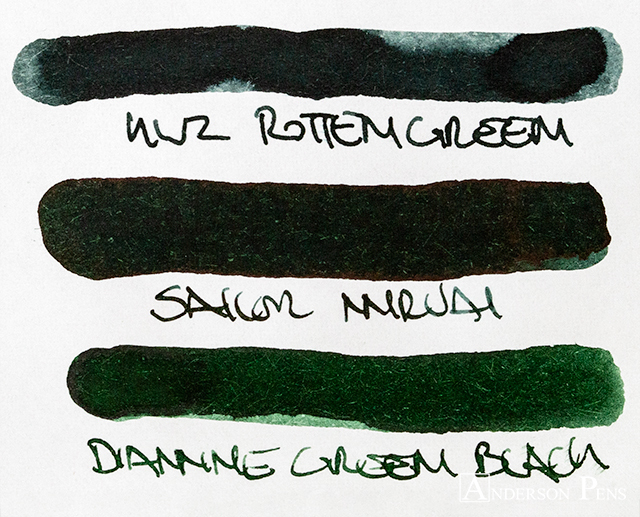 At its lightest, the ink is a misty spruce green. From there it jumps to a very dark seaweed green. 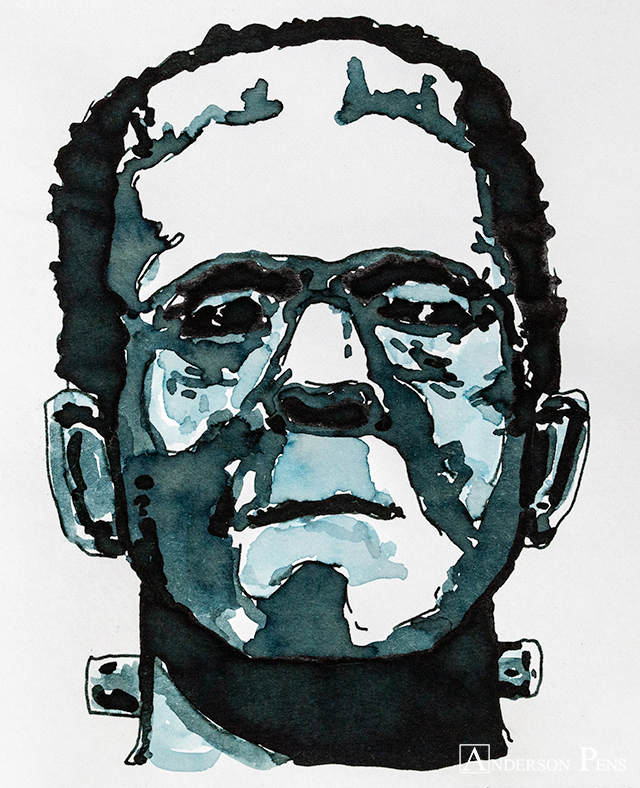 The ink is matte and doesn’t display any sheening. What I first noticed about Rotten Green was how well it wrote. It has exceptional flow and a high saturation. This comes with the trade off of higher dry times, but they weren’t terrible at 25-35 seconds. 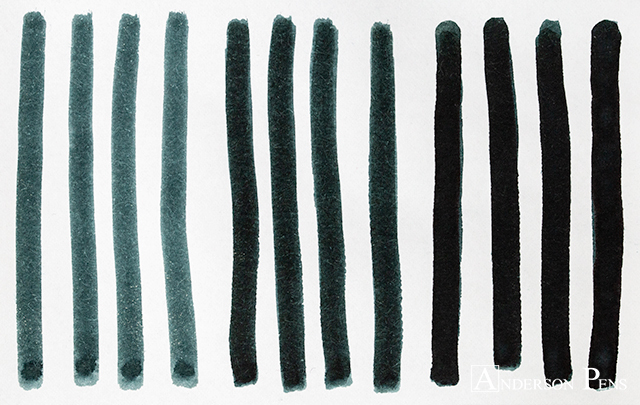 Feathering and bleedthrough were nonexistent on Rhodia paper, and the ink didn’t display any shading. There was no water resistance, but clean up was easy. 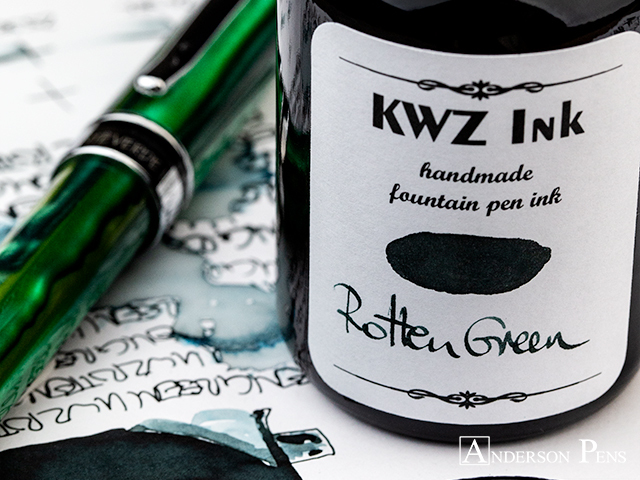 If you’re looking for a work horse ink for the office, Rotten Green would be a great choice. While not black or blue, it’s close enough to black that you won’t get any complaints. It also has enough character that you won’t get bored with it. 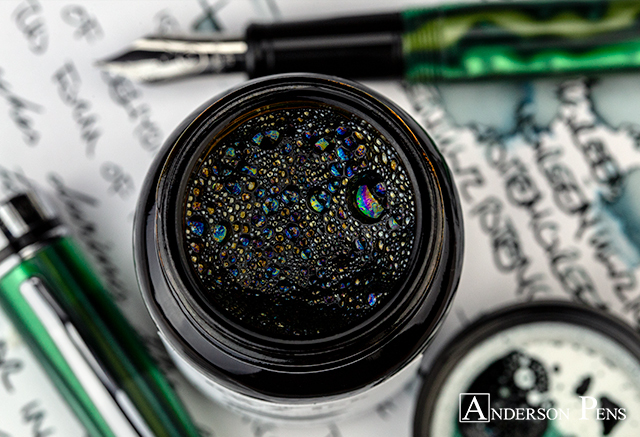 If you’re going to be writing all day, you might as well use an ink that writes like silk. 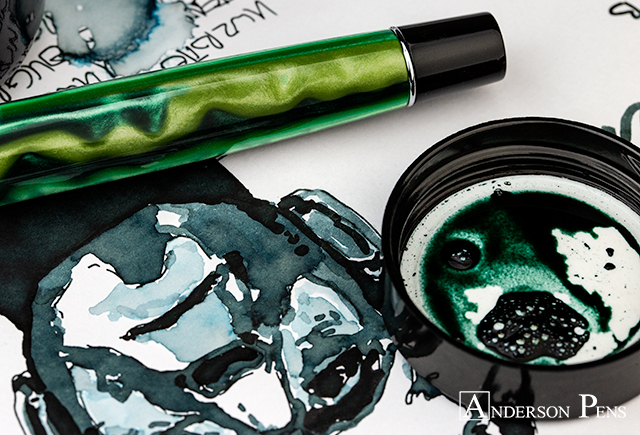 This entry was posted in Ink, Ink Reviews, thINKthursday and tagged ink, ink review, KWZ, Monteverde, thINKthursday. Bookmark the permalink.